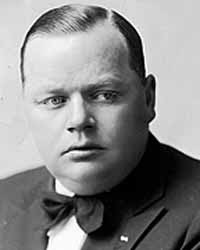 Roscoe ‘Fatty’ Arbuckle had a story to tell, I think. That he got only a few chapters into it before scandal destroyed him is tragic; not just for his fans, but for his medium. Where Arbuckle’s work ends, so stops a peculiar vein of slapstick comedy that was never revived. The ‘chapters’ are his short films; they were made mostly between 1912 and 1921 and cover, I’d argue, the maximum breadth of knockabout comedy. 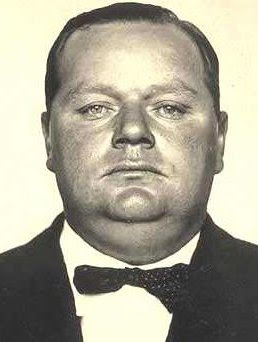 Arbuckle pushed the envelope as much as he could, getting more out of every Keystone chase and harmless gunshot to the bum than anyone else could have. Yet his restrictions clearly got to him, and if you doubt that, please watch He Did and He Didn’t today. He Did and He Didn’t is a taste of might have (and ought to have) come from Arbuckle’s thwarted feature-length career. 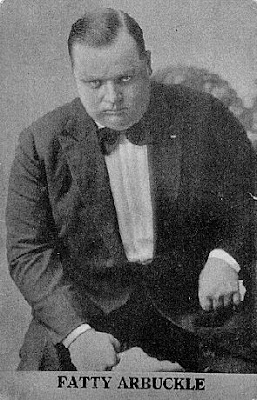 It’s not very funny, at least by the standards Arbuckle set in films like Fatty Joins the Force (1913), The Rounders (1914), and Coney Island (1917). But it is a bold comedic short, describing darker conflicts than even most dramas of the time. And when slapstick can’t get it done, Arbuckle happily looks elsewhere. We can tell something’s wrong from the opening minute. Arbuckle’s billed not as a righteous farmhand or a wealthy drunk—he’s a successful doctor. Usually, characters like that are foils or plot-drivers for the comic, who is not, himself, socially powerful. The first intertitle reads: ‘Their Usual Evening’ and we see Arbuckle the Doctor fumbling with his tuxedo collar while his wife, Mabel (Mabel Normand) brushes her hair. The husband is clearly fond of himself, and treats his wife more like an irritant than a lover. When she gets in his way, he lifts her off her feet like a piece of furniture and sets her elsewhere. When she asks him to help her adjust her dress, he fixes the clasp with a slight punch. It hurts her. Arbuckle’s physicality always had an undertone of menace, but only in this film is it fully realized. In other shorts, he tempered his characters’ strength and size with either cowardice or simple-minded righteousness, as befit the circumstance. This Doctor, though—he might be a real abuser. We have reason to wonder after the arrival of Mabel’s old flame, Jack (William Jefferson). He and Mabel dated once; based on a photo Jack produces, it must have been when she was about thirteen. No matter; the moment Jack leaves the room, the Doctor rips the photo to pieces. What a cruel thing to do. Yes, Mabel was fawning over Jack a bit, but we suspect that simple joys are rare for her. To his credit, the Doctor instantly regrets his action, but how like an abusive spouse to make his point and only afterward ask forgiveness. He’s a lousy host, too. He laughs at Jack’s jokes but the smile leaves his face awfully quickly. He makes sure to be between—literally between—Jack and Mabel whenever possible. The scenes are truly uncomfortable, and they drift farther from farce than any Arbuckle film I know of. You see, Jack’s not a cad, nor is he oblivious to the image he projects. He’s simply caught between a wife who is thrilled to see him and a husband who clearly hates him. And it is hate. The film’s pivotal early scene, in which Jack and the Doctor face each other across the dinner table with Mabel in the middle, makes the Doctor’s feelings very clear. Consider the effect of Arbuckle’s bloodless, boiling stare, absent of any humour and aimed right at you, the viewer. Could a man of his size make good on his violent wishes? How should that make you feel? For comparison’s sake, watch Buster Keaton’s atypical short film, The Frozen North (1922), in which the comic plays a murderous bandit. Keaton, a giant of cinema, was puny in body; his portraying a thug of any kind is funny, because he doesn’t look big enough to threaten your grandmother. But what if the thug was this guy? How mad could he get... and what could Mabel do about it? In a telling follow-up scene, the worried wife returns to her makeup table, tries to lean on it with her elbow and misses, smacking her head against the table’s edge. It is a typical slapstick spot, but Mabel’s only reaction is annoyance. She pulls the table closer and continues to brood. This is no time to goof around. The Doctor is eventually led away by a phony housecall, set up by a pair of thieves looking to rob his home. One of them is played by Al St. John, a jumping-jack of a comedian whose taste I’ve never acquired. Arbuckle worked with St. John many times (they were related), but his role in this film is especially interesting, as Arbuckle seems intent on letting his nephew shoulder almost all of He Did and He Didn’t’s knockabout action sequence—the obligatory closing minutes of any Keystone film. With the Doctor away, pistol-packing Jack must chase St. John through the house, firing wildly as the robber bounces off furniture, a chandelier and various servants. St. John’s defeat is not the end of the film—in fact, he’s pitched out the window by Jack with several minutes to spare. Only then does the Doctor return to the house, even angrier than before; convinced the housecall was a ruse on his wife’s part. He discovers Jack comforting a frightened Mabel, and tries to kill him. With Jack dispatched, he strangles his wife, and walks calmly off-camera. No, he doesn’t wring her neck in exaggerated fashion; he just chokes her down to the floor and exits. And when we discover, to our relief, that Mabel is not dead, we are soon shocked again at the retribution she takes on the Doctor. Just what are we watching here? 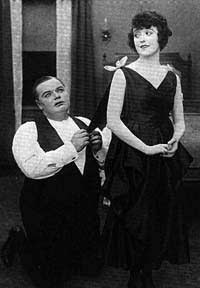 Arbuckle does pull back from pure melodrama in the end—quite creatively, too. However, you won’t remember his tidy summation so much as the fearsome anger his character contains in this film. Fatty could act, and I’ll always wonder to what different, darker place he might have taken his artform, if he’d been given the chance. It’s not even on YouTube. However, it is available on the excellent Forgotten Films of Roscoe “Fatty” Arbuckle, a four-disc set that includes more than 20 of the comedian’s other silent shorts, plus several films he directed (under the pseudonym ‘William Goodrich’) following his blacklisting. The set is distributed by Mackinac Media. Music available in MIDI form, CD, and piano score to come. THANK you for this. I am putting that 4-Disc DVD set on my must have list. Oh, it's a must-have set for sure, Carley. It doesn't have everything he did--not even close--but it does have some of his best work, including this one and Coney Island.